To find her father’s World War II grave, Natalya Pugachyova had to become a celebrity. 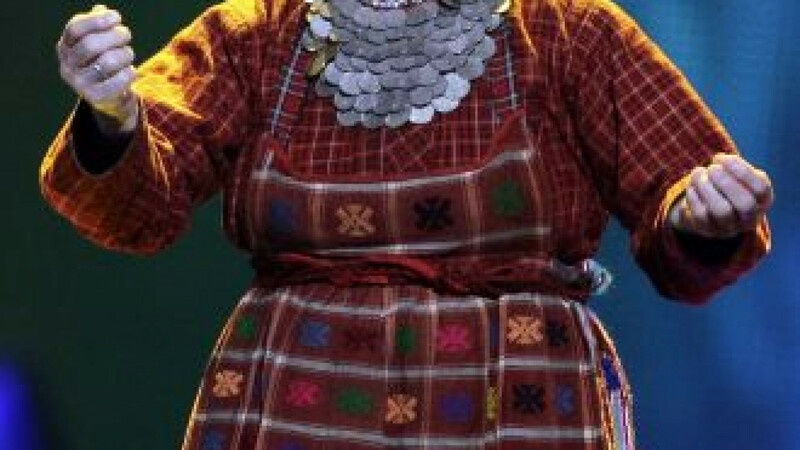 She is one of the Buranovskiye Babushki, a group of singing grandmothers who ended up second at this year’s Eurovision Song Contest with their catchy tune sung in the Udmurt language, a distant relative of Finnish. As the oldest and smallest member of the group, the 76-year-old Pugachyova became a star of the pan-European contest, whose millions of devoted fans love its kitschy fun. At a news conference, she mentioned her father, Yakov Begeshev, who disappeared when she was 6 years old. The last letter her family received from him came during a battle in the Voronezh region, south of Moscow, that he described as being so fierce that he was unlikely to survive. Nearly 27 million Soviet soldiers and civilians died in World War II, and tens of thousands are still listed as missing. War enthusiasts roam the forests and swamps of western Russia in search of the remains of soldiers and the aluminum dog tags that identify them. Nina Geryusheva of the Federal Court Marshals Service branch in Udmurtia said its volunteers set out to find Pugachyova’s missing father. After a lot of phone calls and official requests, they were able to identify the mass grave where he was buried. “She was surprised to say the least,” Geryusheva said by telephone. Russian state television showed Pugachyova’s visit over the weekend to the village of Malaya Vereika in the Voronezh region, where she saw her father’s name among those engraved on memorial walls at the mass grave. Pugachyova brought a handful of soil from her mother’s grave to mix with that of her father’s, and she took a handful back to do the same at her mother’s grave.